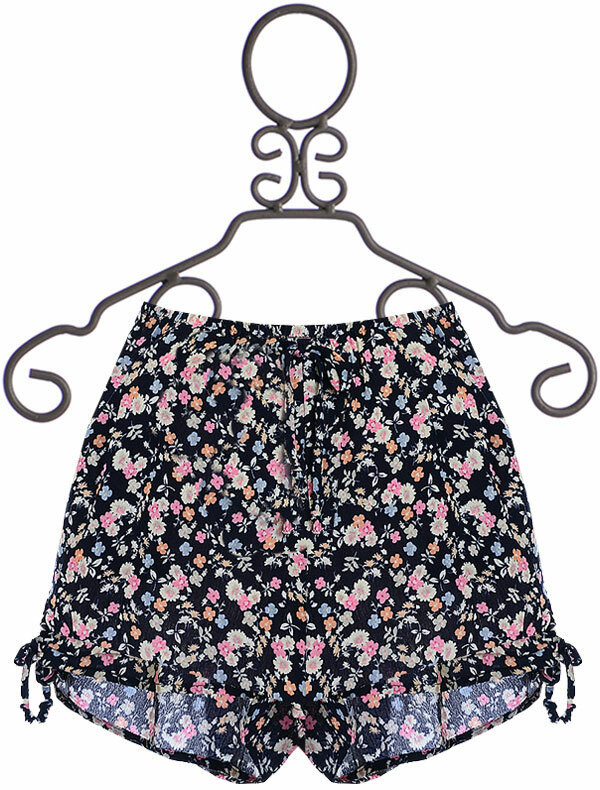 $24 - A hot trend, these printed shorts are a new arrival from PPLA. The stretch waist is an comfortable pull on fit while the loose cut keeps her cool. Draw strings cinch up both sides and create adorable gathers. The dark blue is peppered with a tiny floral print. 100% Rayon. Hand Wash Cold, Lay Flat to Dry. Made in the U.S.A.